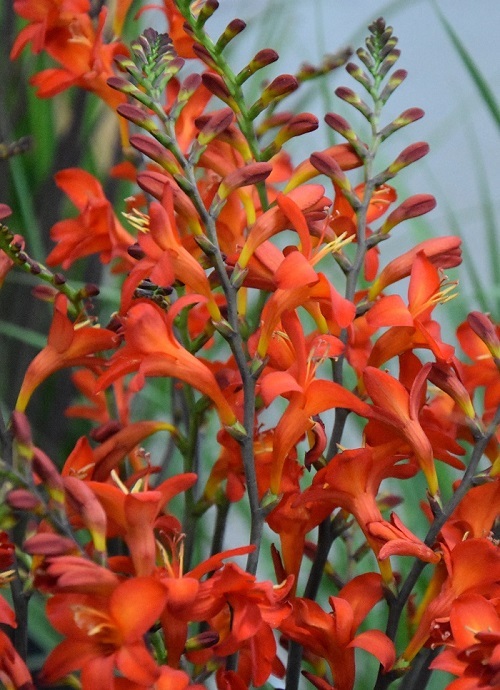 A new addition to our site this year, the flowers of Crocosmia Karin are a stunning orange-red with a yellow blush. 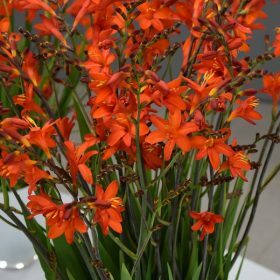 Crocosmia’s increase well in the garden if left undisturbed and are also good for using as cut flowers. They are maintenance free and the striking flowers combined with the sword shaped leaves are ideal in any border. Plant crocosmia 8-10cms deep and 8cms apart. 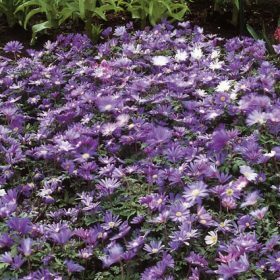 They enjoy full sun, but will also perform well in the semi-shaded areas of the garden. 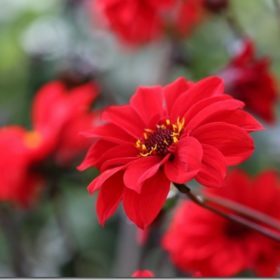 Leave undisturbed to naturalise for a number of years in the garden and when you feel they are getting overcrowded, just dig them up when they are dormant and re plant corms further apart. 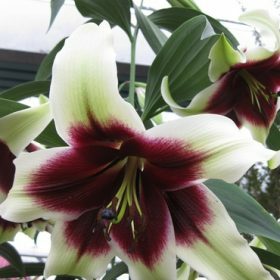 Lilium Kushi Maya is a lovely hybrid from Lilium nepalense producing very large flowers which can be up to 25cm in diameter. Fragrant flowers that are creamy white at the tips and dark red to finally black at the centre. 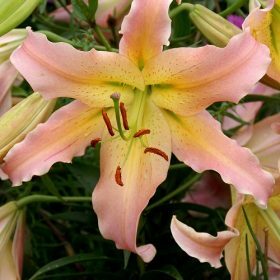 Lilium Elusive is a fragrant oriental lily with deep pink flowers and a bright yellow centre. An Orienpet (OT) lily easy to grow in most soil types that do not get waterlogged.